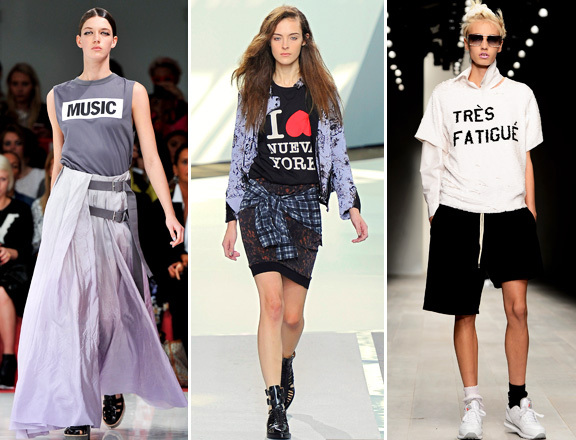 The T-shirt has become a universal element of clothing for a variety of styles – from sports to business. It is often one of the most striking costume details. The collections of women’s shirts in summer 2014 only confirm this trend, offering a variety of interesting trending solutions. One of the most popular trends of summer 2014 are women’s T-shirts with slogans and various art prints in the classic black and white version or the color one. Geometric pattern, color blocks and combination of different fabrics are the next distinctive trend of women’s T-shirts of summer 2014. Color and monochrome stripes, triangles, check, contrasting sleeves and T-shirts’ division at the chest line are the techniques that are found in almost all collections, combining the actual sport style with the elements of modernism. Except for the traditional stockinet, women’s summer T-shirt can be made of almost any material, including the leather. The solution, when the material is the same as the skirt or trousers, looks interesting. 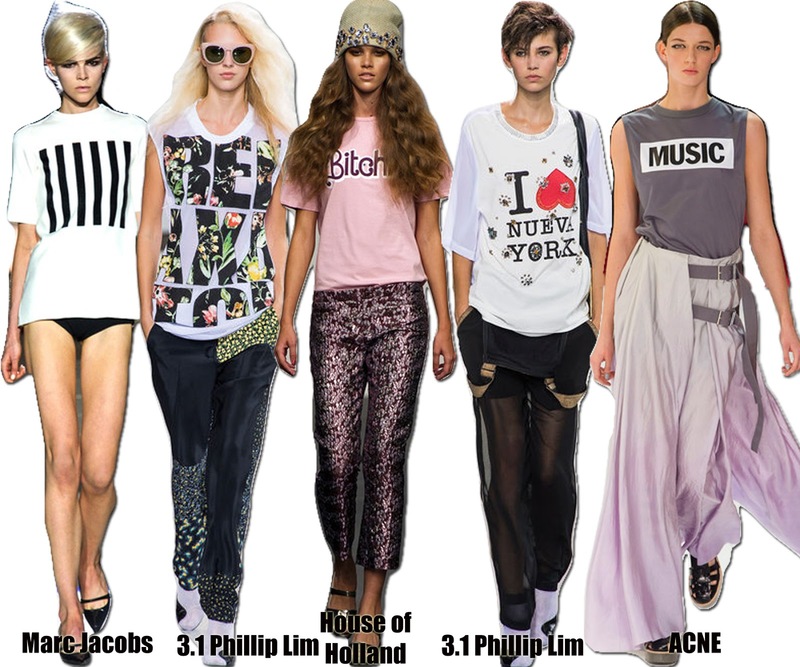 Transparent T-shirts of 2014 is the trend for the most daring women of fashion. Such model looks particularly impressive in combination with a long or bulk skirt. Actual solution is the transparent material, and also the popular mesh. A compromise variant is when some parts of the T-shirt are made of transparent fabric, such as sleeves or the bottom. Except for the standard and close-fitting models it’s fashionable to wear T-shirts of bigger sizes in fashion trends summer 2014. It may have the effect of extended neck and fall off one shoulder, or it may simply give the outfit a more free and relaxed look. 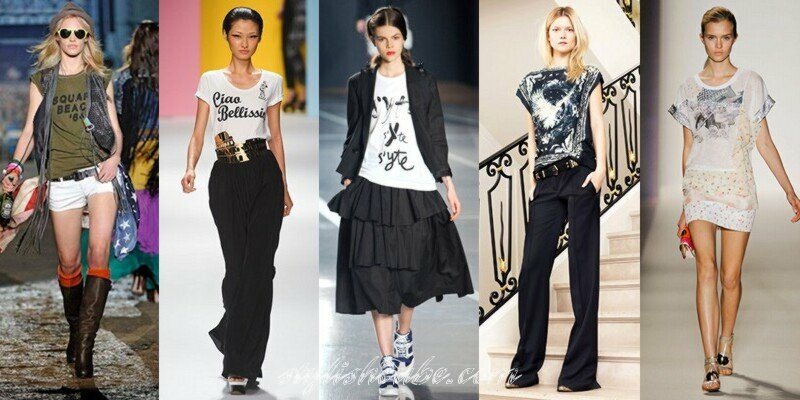 Also the asymmetric cut is in fashion; often it comes to the top of the T-shirts. For example, the asymmetrical shirt with one bare shoulder looks very feminine. 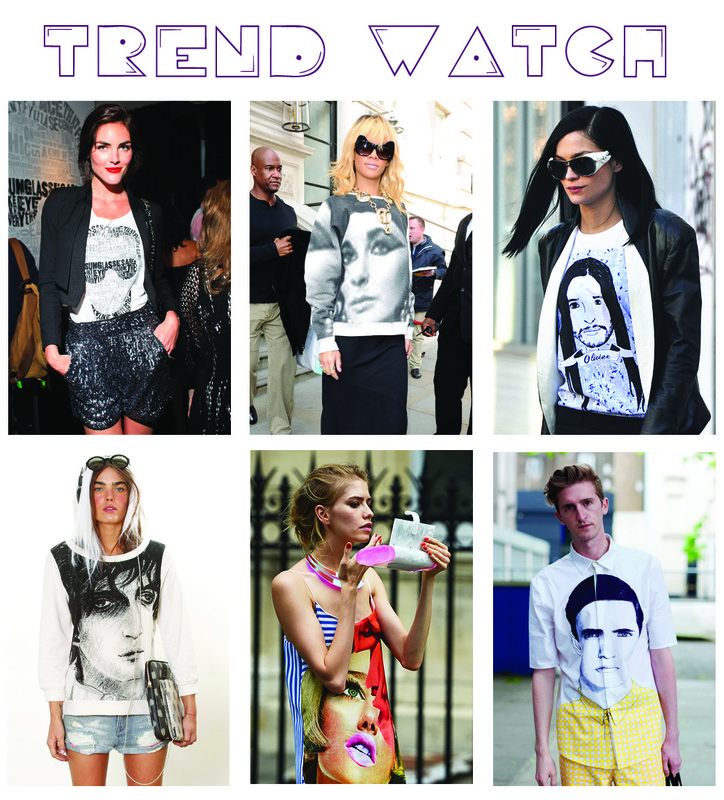 Fashion element: @Black Steed Print T-shirt, Zanzea® T-Shirt.